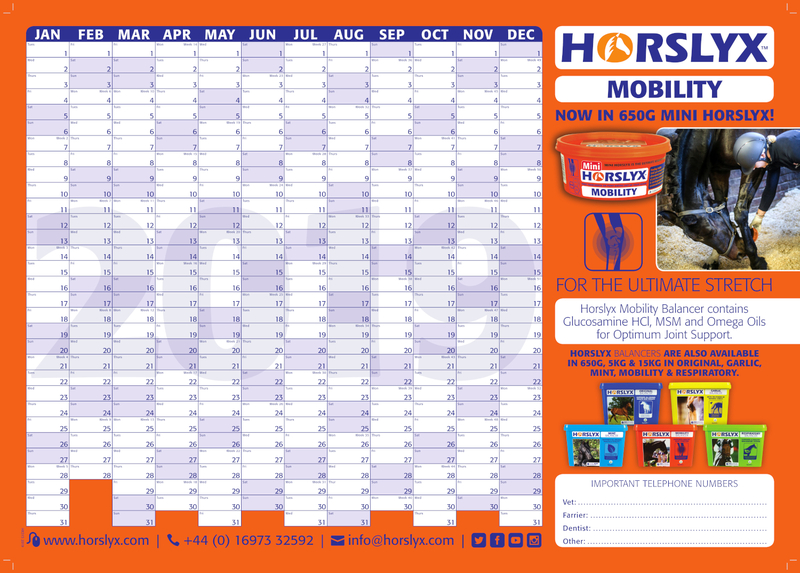 Get organised for 2019 with the Horslyx Wall Planner. With 2019 just around the corner we are now giving away free wall planners for the new year. All you have to do is fill in your name, full address including postcode and your email address and we will post it out to you. Hurry though – we have limited stock and they will be sent on a first come, first served basis. Disclaimer: Unfortunately the year planner is not available out of the UK and the ROI.